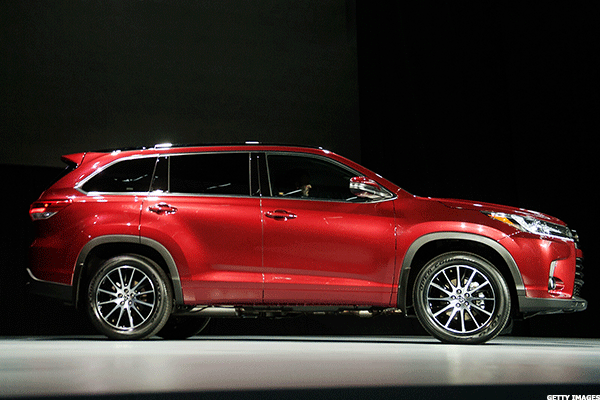 It takes more than a U.S. address and assembly line to make an 'American' vehicle. Neither the name on your vehicle nor the place where it's manufactured indicates how "American" a car is. What constitutes an American car is routinely up for debate, but the core of that battle comes down to minutiae. A car, truck, van or SUV/crossover is the sum of its parts, and those parts all come from somewhere. How "American" a car is depends largely on how many of those parts are made in the U.S. The National Highway Traffic Safety Administration freely admits there's no such thing as a 100% American car and notes that one of its most American vehicles, the 60% U.S.-produced GM (GM - Get Report) Chevrolet Spark takes 21% of its parts from South Korea and is assembled there as well. Then again, there are cars such as the BMW X3 that are assembled right here in the U.S. (South Carolina, specifically), but only get 10% of their parts from this country. With auto sales down 2% this year, according to MotorIntelligence, where a car is made -- or is perceived to be made -- matters more than ever. It just doesn't matter in the flag-waving fashion to which we're accustomed. Car sales have fallen 11% so far this year, but sales of "domestic" cars from General Motors, Ford (F - Get Report) and Fiat Chrysler (FCAU - Get Report) are down 18.8%, compared to just 7.9% for "import" brands. As for trucks and SUV/crossovers, the 4.7% growth on that side of the market is driven by the 8.2% rise in "import" sales, which far outpace a 2.2% uptick for similar "domestic" vehicles. Forgive the use of scare quotes in that last graf, but the "foreign" and "domestic" labels are a little too tidy for vehicles that are a stew of parts from various portions of the globe. More than 20 years ago, Congress passed the American Automobile Labeling Act requiring cars to have labels specifying their percentage of U.S./Canadian parts, the country of assembly and the country of origin for the engine and transmission. The NHTSB has compiled lists of these vehicles for each model year to help consumers who care about such things get more homegrown product for their money. Families really don't care how much Wi-Fi you put into a car with 94.7 cubic feet of cargo space. They don't care that you can fit nine people in it and that stability features make it far safer than the trucked-up SUVs of yore. Even if they have a camper or a boat, that towing capacity can now be found in cheaper, more efficient cars. 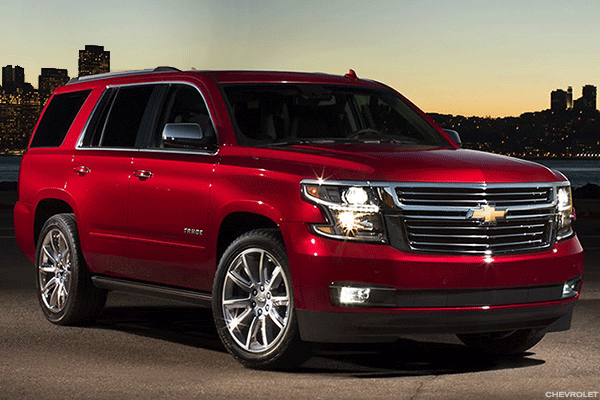 But the Tahoe and suburban are basically rolling living rooms for large families cramped for space. If this home on wheels can do it all, they're going to take it. There are a whole lot of toys in this unassuming package. General Motors made a big point of overhauling the Malibu in 2013 by packing its base model with an AM-FM stereo with iPod/USB and auxiliary input jacks, Bluetooth with hands-free streaming of audio from compatible devices, OnStar and Sirius-XM Satellite Radio. 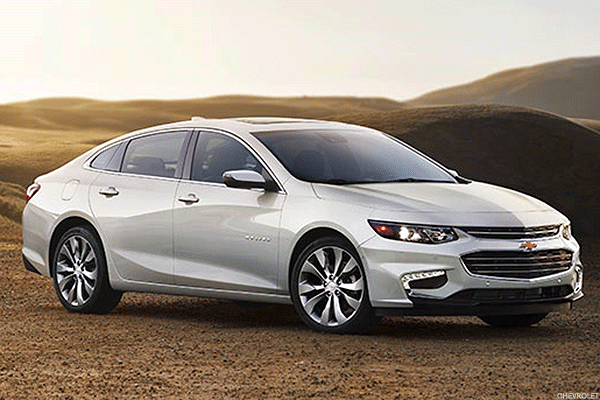 Everything above that base model also received a large touch-screen display using Chevrolet's MyLink information and entertainment system, Pandora Internet Radio playback and Sirius-XM Travel Link navigation. There are just some vehicles that seem more "American" than others, and this monument to excess is one of them. 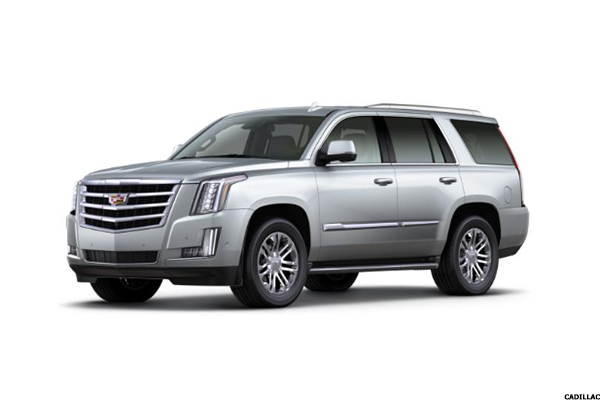 Demand for the Escalade in the U.S. has dropped from a peak of more than 62,000 in 2006 to little more than 35,000 last year, the refreshed-in-2015 Escalade still provides creature comforts like 94.2 cubic inches of cargo space, a General Motors 6.2-liter EcoTec3 V8 engine with 420 horsepower, the Cadillac CUE infotainment system, lane assistance, rear-view camera, an illuminated 4WD knob and a rear-seat DVD entertainment system. You can point out that 26% of the Escalade is made in Mexico, but your words will be drowned out by the sound of Escalade owners pumping gas. Yes, there are still 20% Mexican parts in this vehicle, but that didn't keep people from being excited about last year's overhaul. 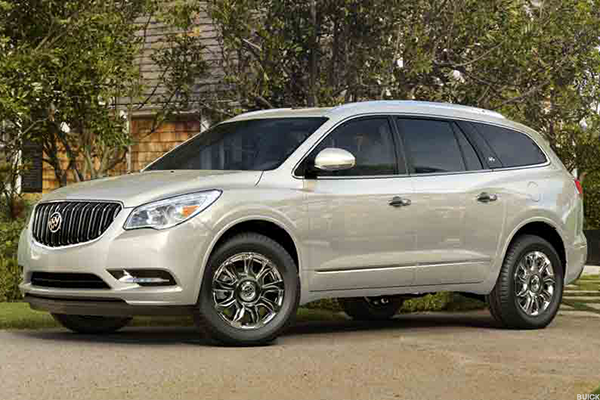 When Buick first redesigned the bulbous, oversized LaCrosse back in 2009, it was a Big Deal. This was Buick's dinosaur of an entry-level car: it was Perry Como albums, lunch at the club on Saturday and rides with grandpa. Buick loaded up on the plush amenities, but downgraded the engine from a V6 to a four-cylinder. Even that only succeeded in getting it a combined 23 miles per gallon until it introduced the semi-hybrid eAssist that manages 30.5. 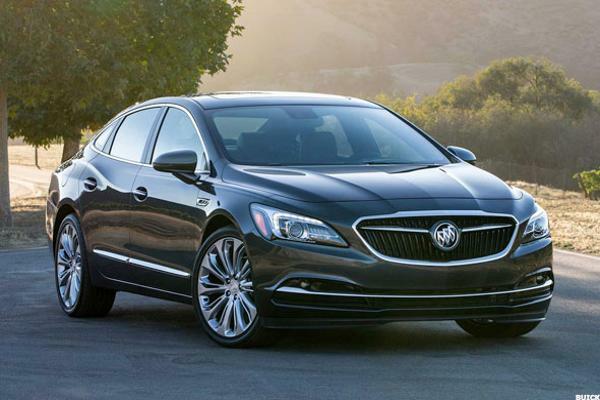 Seeing the one big area where the LaCrosse could improve, Buick put it on a lighter Chevy Impala platform, lowered its center of gravity, broadened the wheelbase a bit and gave it a sizable waterfall grill. This is all great, but that's a lot of improvements for a large-car segment with shrinking market share. 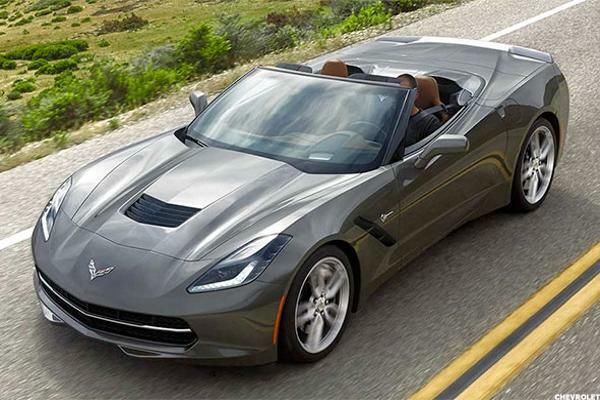 The auto world went absolutely nuts when it was revealed that the 2014 Corvette was going to revive the stingray body style that Chevrolet hadn't used since 1982. When it turned out that you could buy one that came ready for a day at the track, about 75% of potential owners signed up. Years later, the Corvette still delivers on its looks with a 6.2-liter small block V8 engine that cranks out 455 horsepower and hits 60 mph in less than four seconds. If that isn't fast enough, the Chevrolet Corvette Z06 includes a supercharged version of that engine with 650 horsepower that cuts the 0 to 60 time down to 2.9 seconds. We have no idea why you'd get this as a stripped-down base model, which is why you'll likely choose from packages with a convertible top; Bose 10-speaker surround-sound audio system; Sirius XM satellite radio with one-year subscription and HD radio receiver; color head-up display; memory package; navigation system; heated and ventilated seats with power lumbar and bolster adjustment; and a leather-wrapped dash. It's the lavish all-American sports car with the parts and labor to back it up. The midsize car this vehicle is based off of is built here in droves, which makes it less surprising to see the Highlander primarily made in the U.S. as well. This Camry-based crossover helped kill the lumbering conventional SUV when it was introduced little more than a decade ago and continues to trim the fat, especially in hybrid form. That mileage complements features like a panoramic moonroof, power liftgate, three-zone climate control and backup camera without sacrificing the Highlander's 94 cubic feet of storage space or three rows of seating. 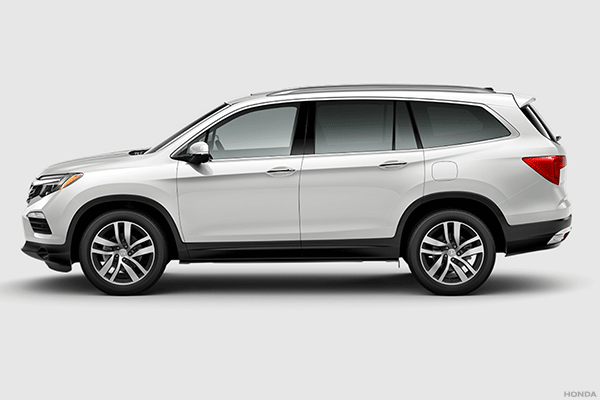 the NHTSA and IIHS both give it their highest safety ratings for good reason: this seven-seater is an absolute tank. About 20% of this vehicle's parts (including some of its engines) are still made in Japan, but it still fits in well as a U.S. crossover. The not-quite-luxury car is a dying breed, but Toyota breathed new life into its Avalon by listening to a very specific clientele. With its streamlined Lexus ES frame and a combined 35 miles per gallon, it has the look of an efficient Japanese luxury car. However, the Avalon is an American-built vehicle built specifically for American car buyers, and all its extra room and added luxury features give it a slight edge over the ES -- which is produced mainly in Japan. There's still 15% of this car produced in that country as well, but the Avalon remains intrinsically tied to the U.S.
How did this crossover SUV make the list, but not its sister crossover: The Honda CR-V? Well, the CR-V is less expensive and far more popular, which means Honda has to assemble it in the U.S., Canada and Mexico just to meet demand. The RDX makes up for it by loading up with all sorts of luxe gadgets to keep you comfortable. 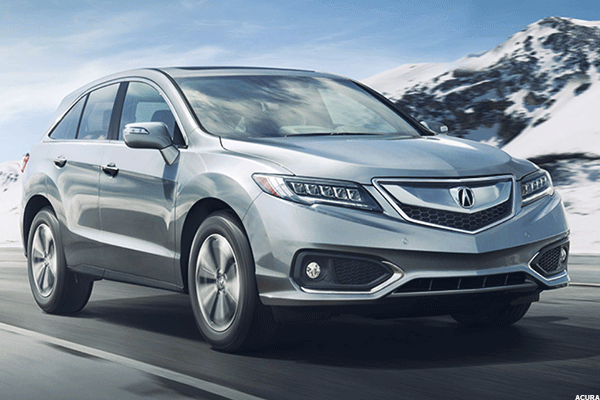 Our favorite, the GPS-linked climate control in the RDX's $3,700 technology package (and that of the pricier MDX) communicates with a GPS-linked solar sensor that determines the position of the sun relative to the driver and passenger. That's right, it's using global positioning satellites to tell your dual-zone climate control system then to keep the sunny side of the car as cool as the shaded side. The future is here, and it's made in Ohio. The competing Chevrolet Silverado and GMC Sierra are only 45% U.S.-made, with some models assembled in Mexico. Fiat Chrysler's Ram doesn't divulge its mix, but it's assembled in both Warren, Mich. and Mexico. 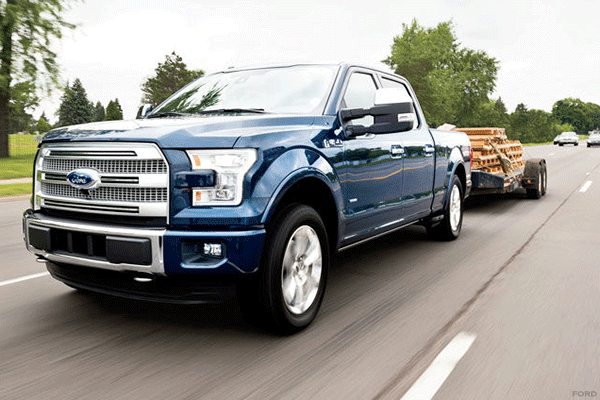 The F-150 is far less coy. A new aluminum body and 3.6-liter V6 engine account for that fuel efficiency, while new tech features for both entertainment and communication bring it into the 21st century. That said, the F-150 could have remained as basic as ever and still sold more vehicles in a year than certain vehicle categories. It's on four decades of leading the U.S. and the pickup truck category in sales, and it isn't slowing down anytime soon. So what kind of edge does this give the F-150 in a tight race between pickups? Well, the F-150's turbocharged EcoBoost V6 and new aluminum body manage 22 miles per gallon compared to the Ram 1500's 21. That also comes with an increase in performance, as the Ford reached 60 mph almost two seconds quicker than its Ram rival. 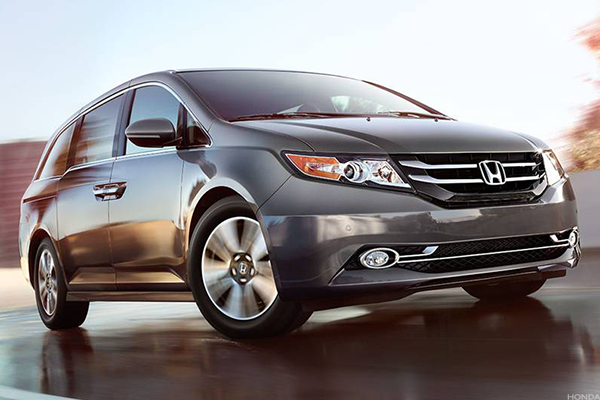 Get used to seeing minivans on this list. Japanese automakers have not only embraced the all-American family minivan, but for many years they were only companies making them in the United States. Chrysler may have dominated the minivan market in the '90s, but they assembled their Dodge Grand Caravan and Chrysler Town & Country in Canada. 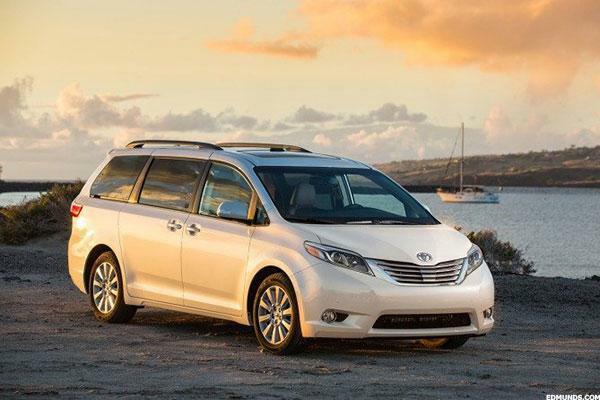 The Sienna, meanwhile, has terrible mileage (23 mpg) but great space. Toyota's Sienna uses an upright folding seat in the second row to squeeze in as many as eight passengers and its entire second row slides up to allow third-row access.With power sliding doors, keyless entry, power liftgate in the back, second row climate controls, a sliding center console, a panoramic moon roof, backup cameras and Entune entertainment and information system all available, the Sienna is keeping the heat on its rival Honda Odyssey. There is no car that's more popular on the lots: not a domestic, not a Japanese model, not a Korean midsize. 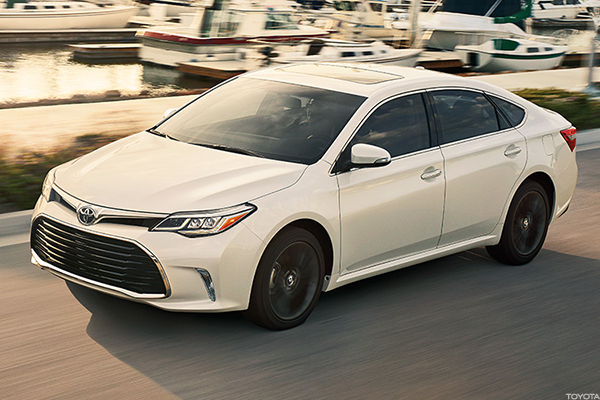 Georgetown has been cranking out Toyotas since 1988 and uses the same platform to produce the Camry and its slightly more spacious and swank Avalon sibling. 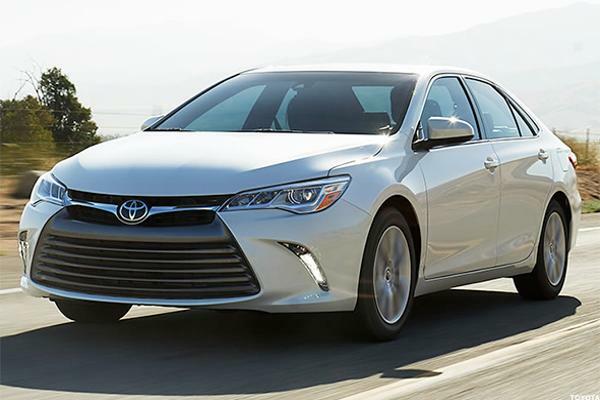 The Camry has put some serious mileage between itself and its troubled, recall-plagued past and remains the most popular car in the U.S. Its sales are nearly identical to those of the Chevy Silverado and exceed those of the Dodge Ram. For yet another year, it's going to be the best-selling non-pickup vehicle in the U.S. Is it the combined 30 miles per gallon? The pindrop-quiet interior? The Bluetooth connection or the Entune App Suite entertainment and information center? Or is it just the fact that it's reliable enough to buy and forget about. Camry owners take a whole lot of trips in their vehicles, but few of them are to the repair shop. This is why the standard SUV is shrinking into a smaller package: Lots of space, terrible mileage. The Pilot got a huge upgrade for 2016, because the 2015 version was even more terrible. The folks in Lincoln trimmed 300 pounds off its frame between generations, brought combined mileage up from 20 mpg and maintained 27.5 inches of legroom in the back and 4.5 inches of headroom. That said, there's 109 cubic feet of cargo space with all of the passenger seats down. It's spacious, if still a bit sluggish. Chrysler and Fiat opted not to report their percentage of U.S.-made parts, so they've forfeited their right to complain about being left out of the all-American minivan conversation. We'd say that the mix of parts makes the Odyssey the most American minivan on this list, but a whole lot of other features give it that distinction. It can carry five family members, store drinks and snacks in a center-console cool box and collapse its third row to offer 93.1 cubic feet for more storage. Oh, and there's the optional 16.2-inch split screen entertainment system that lets passengers watch two programs at once and has an optional built-in vacuum cleaner to pick up and crumbs and road snacks left behind. It's just your average American road trip vehicle built by a company based in Tokyo, but it has the U.S. family pegged just perfectly. U.S. automakers try to catch up, but they just can't put as much U.S. product and labor into a midsize car as their Japanese competitors. Not surprisingly, the Japanese brands have been rewarded for their efforts with a near-permanent stranglehold on the midsize car category. No domestic car has more than 70% U.S.-made parts, with half of the Ford Fusion made in Mexico. However, Honda is not only largely made and assembled here, but its 2013 update gave it a standard 8-inch LCD display for its information, communication and app-based entertainment system, a single angle backup camera, dual zone climate control, a lane-drift detector, a power moon roof and alloy wheels. Other new options include a three-angle backup cam, enhanced safety sensors, LED running lights and adaptive cruise control. 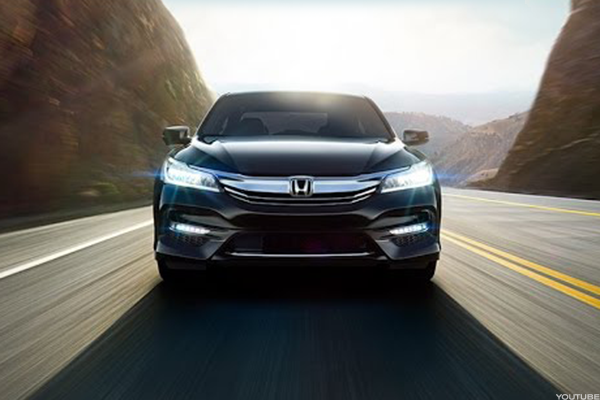 The one element that remained intact was the Accord's combined 32 miles per gallon, which is a big reason it's still one of only two cars among the Top 5 vehicles sold in the U.S. The country that loves it a Ford F-Series, a Chevy Silverado and a Dodge Ram also loves an Accord. It's hard to go wrong with the Lambda platform trio of General Motors crossovers. They all have roughly the same electronics package, they all seat eight passengers and they all have Wi-Fi and ample cargo space. However, the high-end Enclave comes with leather seats, wood trim, a Bose 10-speaker sound system and an incredibly quiet cabin thanks to its forgiving suspension, extra seals and laminated glass. Quiet, cushy, beautiful and more expensive than the more utilitarian model on the non-luxe marque: That's just about everything you can hope for in a luxury vehicle.